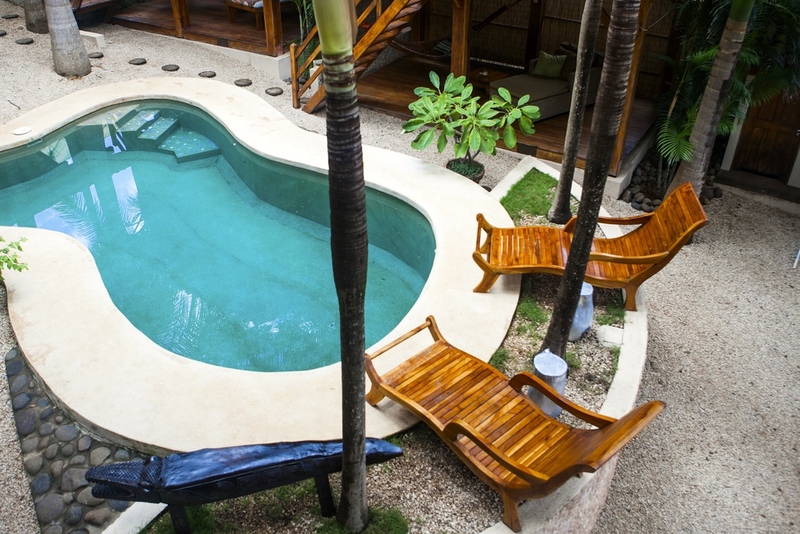 The Beach Bungalows is a cozy alternative b&b consisting of 4 raised bungalows pool view built of local, sustainably-grown teak surrounding a palm-fringed swimming pool, conveniently located near the beach and 1 bungalow garden side and 1 casita room garden side too. 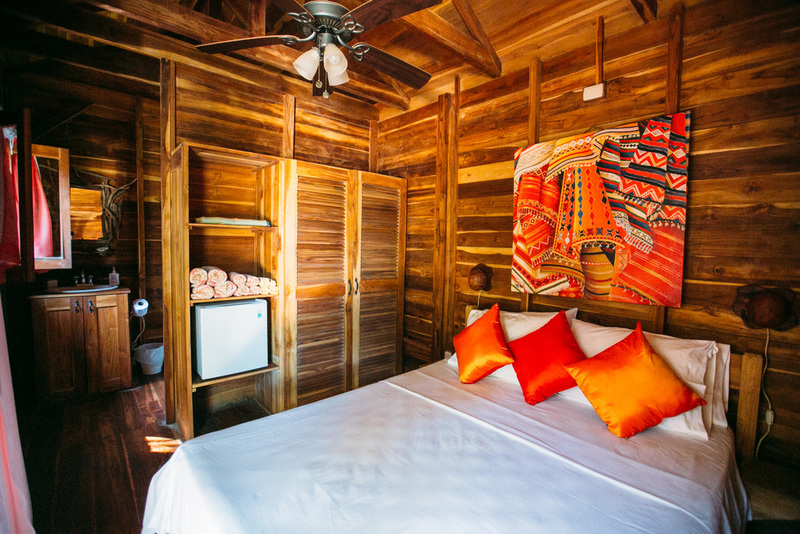 Each bungalow is fitted upstairs with a queen-size bed, ceiling fan, in-room fridge, full bath with shower (downstair for the bungalow garden), and a safe box for guest valuables. 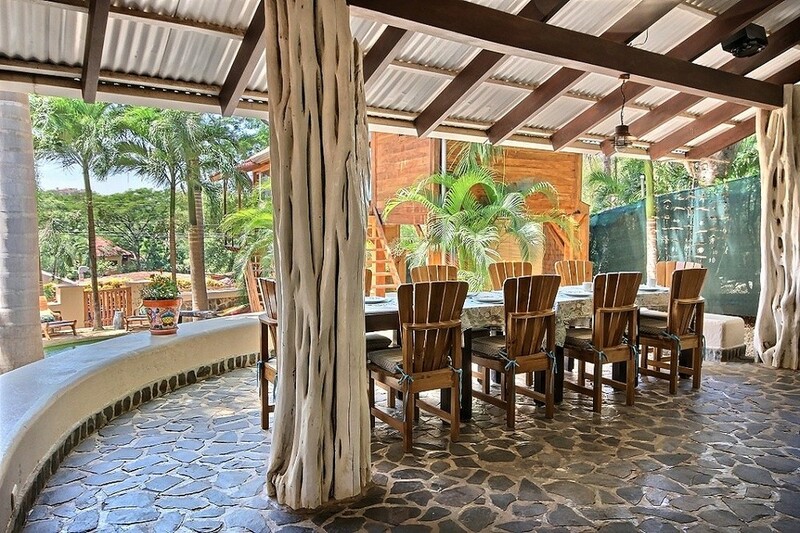 On the lower level, each bungalow pool view has its own personal lounge area near the pool, with day beds or hammocks on a teak deck where you can relax after a fun-filled day in Tamarindo. 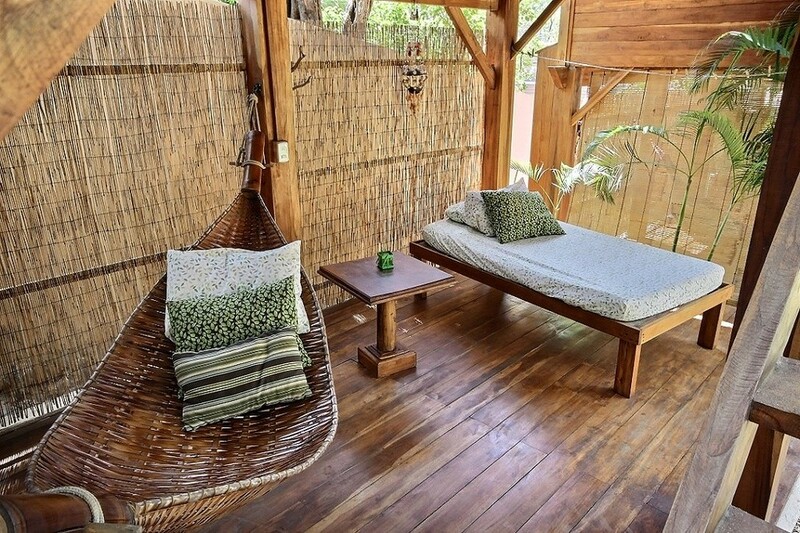 For the bungalow garden, you have a private hammocks in the little tropical garden. 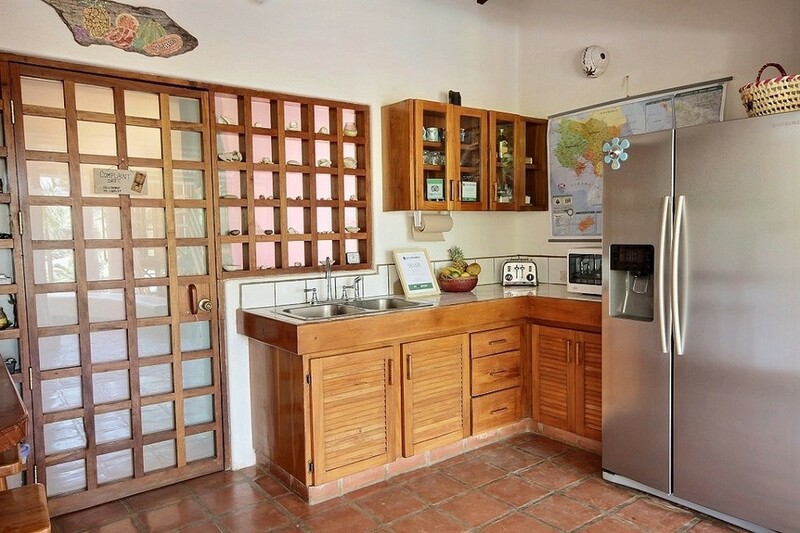 We strive to create a genuine "get away" feel for our guests in a unique garden setting with a friendly and attentive staff, our resident cat and the occasional visiting monkeys. In our continuing efforts to be environmentally friendly, we use a state of the art water treatment system that allows gray water to be used for irrigation, helping to conserve precious resources, and a water purification system that makes the water from all taps drinkable, reducing plastic bottle usage. 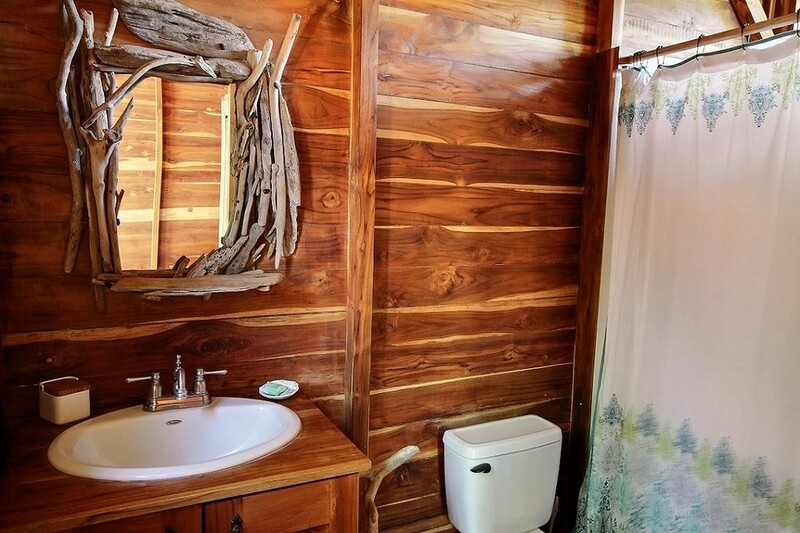 We cool our bungalows with fans rather than air conditioning and use green products and biodegradable cleaning supplies, and are active recycling participants. We are also proud to support Salve Monos, an organization committed to preserving and protecting Tamarindo's howler monkey population. 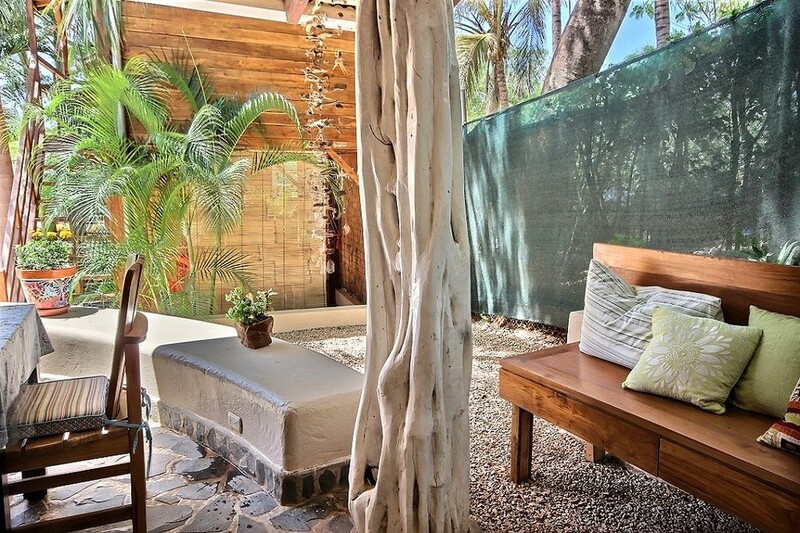 4 bungalows have a personal lounge area near the pool with hammocks and day beds, 1 bungalow garden side more private and 1 casita with A/C in the main house garden side too. There is a comfortable common entertainment area with a/c and leather sofas. We are Leti and Nico and it has been 3 years since we are living in Costa Rica. Here in Costa Rica, we finally found what we were looking for, the Pura vida life ! 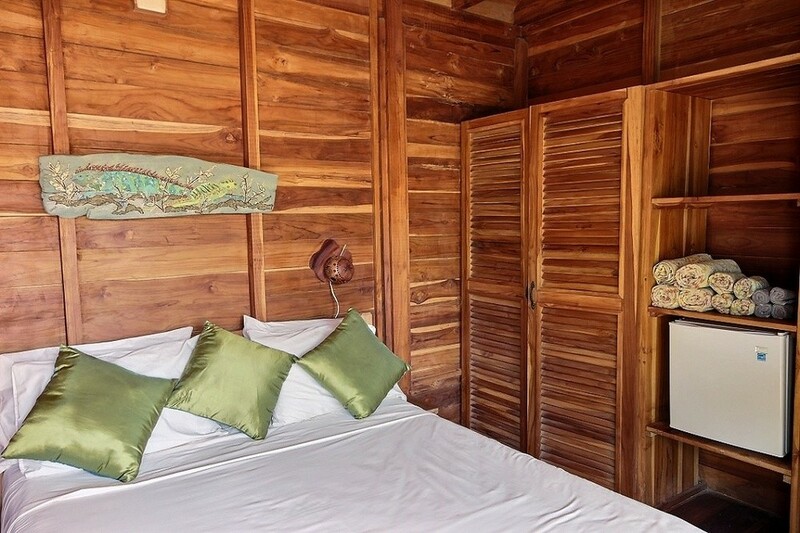 Now, The Beach Bungalows give us the oportunity to live a new experience, receive and help people who come to visit our beautiful area " Guanacaste ". 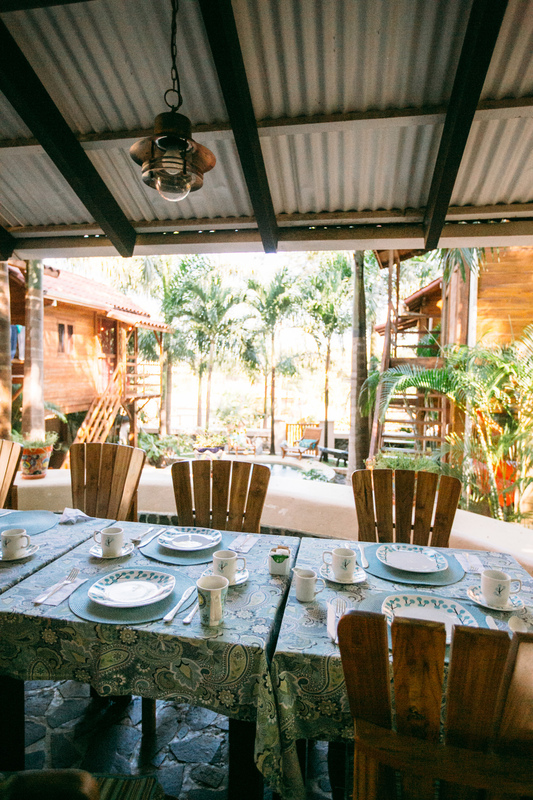 Here at the Beach Bungalows, we strive to minimize harmful effects on the planet while ensuring our guests a pleasant, one-of-a-kind Costa Rican experience!